Another one of those quilts that rolled around in my head for a long time. Worded quilts seem to do that. To read the words on the quilt, click on the photo on the right. This has been one of my most controversial quilts to date. Echo Stars (tm) and Stacker Stars (tm). 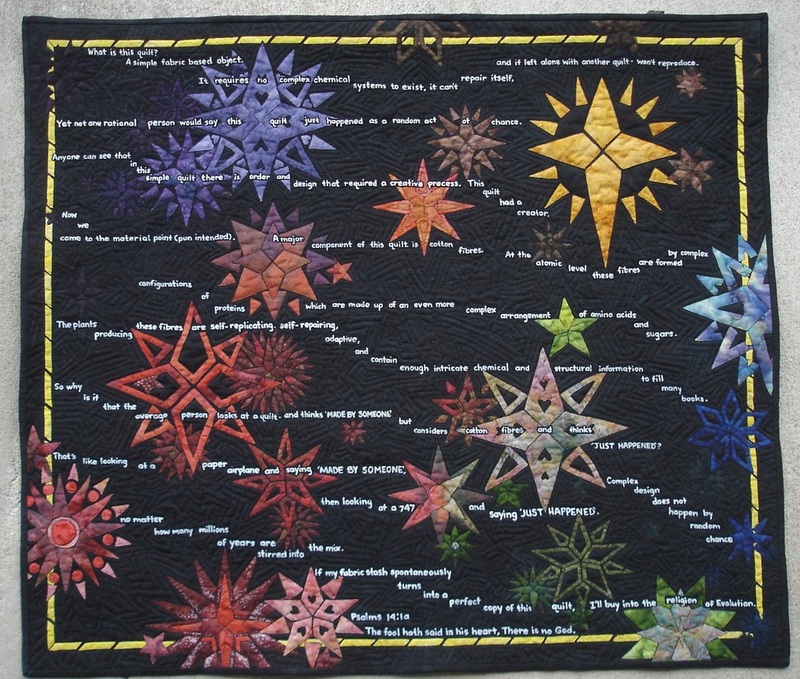 These beautiful and unusual stars bring MCStars to a level that is impossible to achieve with traditional piecing. CLARITY was created using enraptured collage beneath tulle, machine quilted, words are painted using acrylic. This quilt has won two prizes and toured New Zealand for twelve months. Twice.